Bring on the trials. With almost 500 product liability lawsuits filed against Pfizer, U.S. District Court Judge Richard Gergel has issued an aggressive Case Management Order that lays out the organizational structure and timelines for handling the litigation. Judge Gergel is overseeing the cases which have been centralized as part of an MDL, the creation of which helps to prevent duplicative discovery and conflicting rules from different judges. MDLs also help to serve the convenience of the witnesses, parties, and the courts. 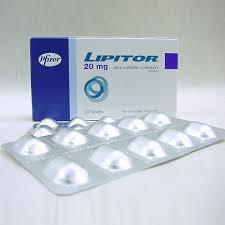 Around since 1985, more than 17 million people having been prescribed Lipitor at one time or another, making it the world’s best-selling drug. But, like the saying goes, all good things must come to an end. Lipitor, prescribed to people who have been diagnosed with high cholesterol, has been linked to an increased risk of diabetes. Medical research indicates that people who have taken Lipitor and other statin drugs, are at an increased risk to become diabetic than those who have not taken the drug. With the increase varying from study to study, some report the increase to be as high 28 percent. In February 2012, the FDA required new diabetes warnings to be added to Lipitor and other similar statins informing users that they may face an increased risk of changes to blood glucose levels. Women are the hardest hit by the negative effects of statins. And so began the onslaught of lawsuits, with Plaintiffs claiming that Pfizer knew or reasonably should have known about the diabetes risk – and that they were well aware of the possible risk long before the warnings were issued. Some studies have connected statins to diabetes are far back as 2004. Those women filing lawsuits have done so claiming that Pfizer placed profits before consumer safety by withholding this information from the medical community. Do men have a Lipitor diabetes claim? They might. But most firms, including ours are not looking at cases for men at this point and are focusing on women who got diabetes while on Lipitor. Judge Gergel has indicated that the first case will to go to trial on or after July 1, 2015. A number of measures have been designed to increase the efficiency and coordination of the cases – including procedures to allow new Plaintiffs to file Lipitor lawsuits directly in the MDL. Additionally, as part of the coordinated proceedings, a small group of lawsuits are expected to be prepared for early trial dates, cases known as bellwether cases. These cases help the parties to gauge the strengths and weaknesses of their cases, and often lead to further settlement discussions. If you or someone you love have experienced a negative side effect of Lipitor or any of the other statins, contact us so that we may better assist you in determining if you have a case. Speak to one of our attorneys at 1.800.553.8082 or contact us online here. Lipitor Lawsuits | Did you develop diabetes?